The Cerise Circular Computer is exceptionally quiet, and the chassis blends in with modern décor like few others on the market…If you’re in the market for an editing station that’s neither boxy nor too bold, the Circular Computer is for you. As pros, we have all felt forgotten by the other brands in favor of their more profitable consumer market and it’s refreshing to finally have the option to get something that not only looks great, but is also a high-performance, upgradable beast. I have owned Cerise workstations since 2011, through a couple of generations of Intel processors, and now I would never buy an imaging workstation from any other source… The personal attention that you will receive before, and especially after, the sale is what sets Cerise apart from any other computer company I’ve dealt with. …Editing photos in Lightroom and Photoshop was a joy using the Cerise PC.. It’s a well-built, well-equipped PC that will deliver the performance you need for editing large RAW files and working with professional imaging software. …Exceptionally well designed with whisper-quiet operation… Deserves a very hard look if you’re thinking about purchasing a machine that’s dedicated to your profession. The cost is reasonable for this high-quality machine, and the attention to your needs by the staff is invaluable. [The Cerise 12-Core Computer] has only top of the line parts to ensure reliability, lifetime tech support, and is as fast as it gets. It is well built and out of the box it is ready for video editing. Well-chosen components; top-notch case; quiet; great performance for productivity tasks… However you configure it, Cerise’s Quad-Core Workstation should serve your professional PC needs well. In our tests it was quiet, stable, and speedy. This is one well-built, smartly set-up system that has all the muscle needed for today’s graphics- and video-editing programs, and none of the bloatware found in machines sold by more mainstream vendors… The Cerise Desktop is a smart choice, whether you’re a graphics professional or just looking for a powerful, dependable, well-designed system that’s as quiet as it is quick. This machine is a model of efficiency [and] a truly unique custom solution that’s built for photographers, videographers, and multimedia users… This machine handled everything I threw at it without a grunt or lag. If you’re looking for a hand-built machine crafted especially with a photographer’s needs in mind, the Cerise Quad-Core Workstation is nothing short of a multimedia workhorse. Make no mistake: The next-gen Cerise business system is not your typical boring, underpowered workstation. This quad-core Clydesdale is made for graphics, music, film, architecture, and science pros who need power. We’ve seen screaming rigs (literally and figuratively) at this price point. 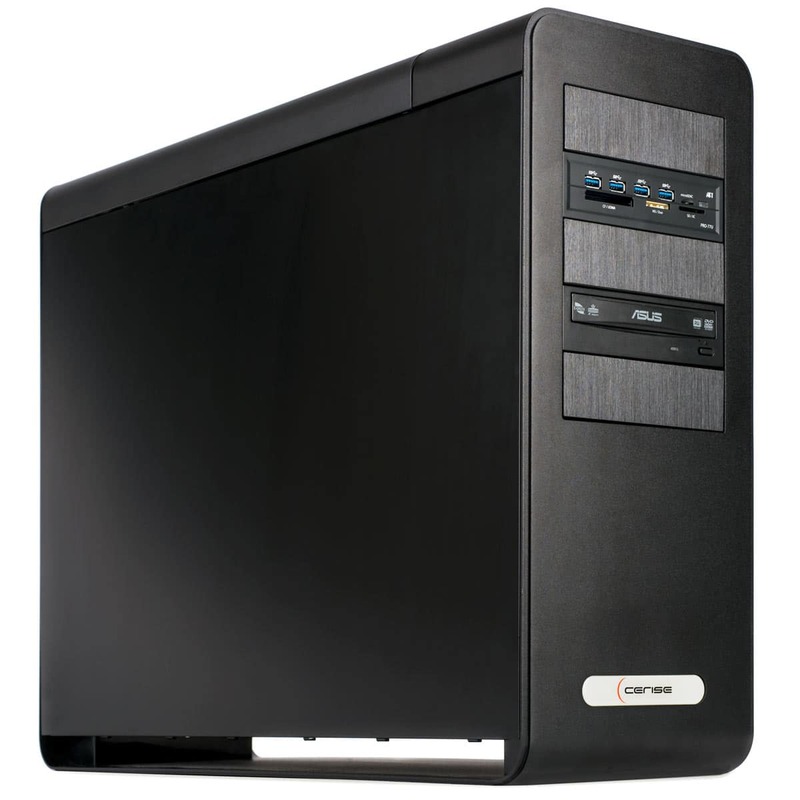 The Cerise Quad-Core Workstation’s quiet efficiency is a refreshing change, and makes the system merit a place on any multimedia pro’s short list. Cerise Computers has built one of the most nicely designed and largest-capacity PCs we’ve tested. If multimedia production is your thing, this system will not disappoint. Cerise has chosen to tackle the mini head on, offering a solid competitor that ships with one of the fastest CPUs amongst the mini-style computers. I could see the Mini PC in the kitchen or at a small desk. It’s more than capable of handling day-to-day tasks and ’Net surfing and it’s quiet enough for any room. 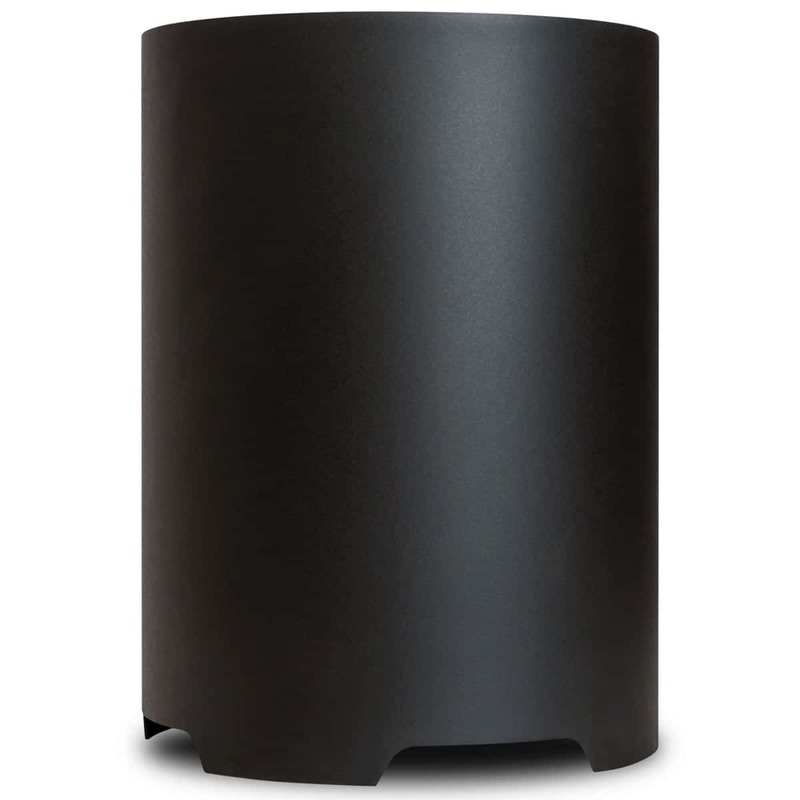 Small, quiet, and powerful with the Intel Core Duo, this desktop can fit in even the most space-constrained rooms. 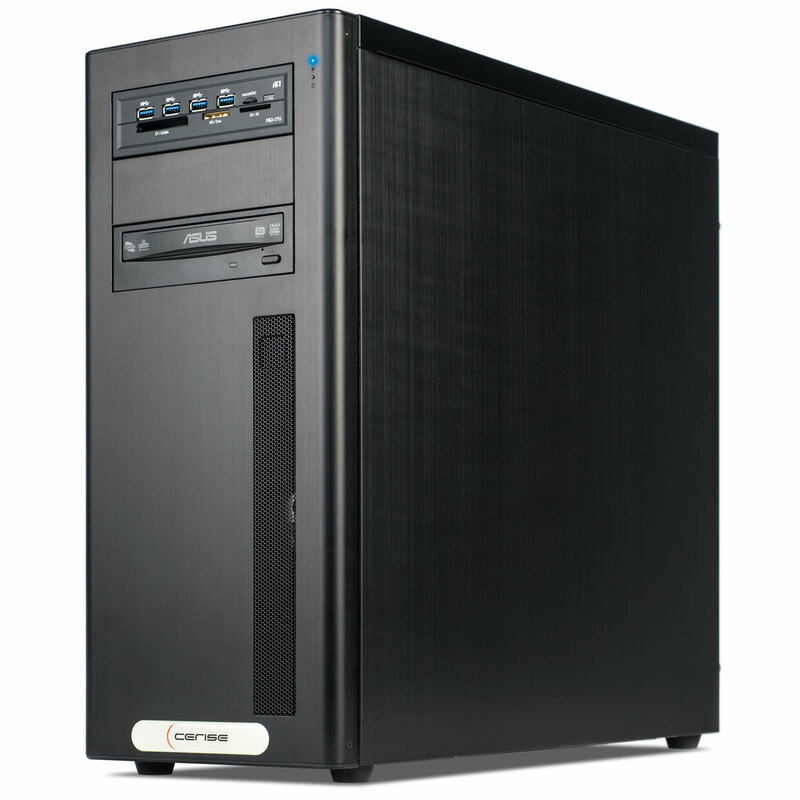 The Cerise Serene X2 4800 is a fast computer that’s perfect for the multimedia power user, one who lives to transcode media files, or even just those with sensitive ears. Extremely well-built computer, great service.